(Medical Xpress) -- Weve all experienced it: The frustration of entering a room and forgetting what we were going to do. Or get. Or find. Entering or exiting through a doorway serves as an event boundary in the mind, which separates episodes of activity and files them away, Radvansky explains. Conducting three experiments in both real and virtual environments, Radvanskys subjects  all college students  performed memory tasks while crossing a room and while exiting a doorway. Radvansky found that the subjects forgot more after walking through a doorway compared to moving the same distance across a room, suggesting that the doorway or event boundary impedes ones ability to retrieve thoughts or decisions made in a different room. The second experiment in a real-world setting required subjects to conceal in boxes the objects chosen from the table and move either across a room or travel the same distance and walk through a doorway. The results in the real-world environment replicated those in the virtual world: walking through a doorway diminished subjects memories. 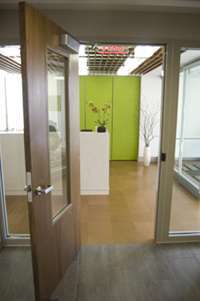 The final experiment was designed to test whether doorways actually served as event boundaries or if ones ability to remember is linked to the environment in which a decision  in this case, the selection of an object  was created. Previous research has shown that environmental factors affect memory and that information learned in one environment is retrieved better when the retrieval occurs in the same context. Subjects in this leg of the study passed through several doorways, leading back to the room in which they started. The results showed no improvements in memory, suggesting that the act of passing through a doorway serves as a way the mind files away memories. How do I remember that I know you know that I know? I see no problem with the result of the study. Most people are almost entirely unaware of the symbolic and representational nature of their own cognition. Beneath the hood, so to speak, things run very differently than a naive realist might expect. Study your own cognition phenomenologically to verify or disprove this, but I have no doubt you'll find it to be true. In all seriousness, I understand this completely. Believe me, as a chef I was constantly having to go from room to room shuttling product back and forth endlessly while having to not only keep track of what I was doing, but what everybody else was doing too. I noticed: When you walk through a doorway backwards, maintaining visual contact with the space you just left, you tend to forget things less. I would wager that the mind is still somehow " cognitating in the space " for lack of better terms. Also, I got in the habit of saying it to myself, " What am I doing ? I'm going to the walk-in for yadayada, etc " as I left a room and entered another, this also helps to remember. I'm not knocking the study, I just think it's a little narrow. Walking backwards might even assist memory across different contexts/rooms. You can keep the attention through the disrupting environment. I wonder, for instance, what would happen if the volunteers wore blinders and were moved face down between rooms, only viewing the floor when they were in transit ? Or vice versa, only viewing the ceiling. Or standing in one room wearing myopic glasses/goggles that only allowed a line/cone of sight that extended into another room, than moving between rooms, in essence giving the brain visual information from the other space while the body still occupied the other. The study may have been "narrow", but their point was only to establish that a physical departure from context invokes a termination of context in the mind. This is just basic science. And now that this is established, other researchers can then take the next steps with whatever part of the mind or brain is their special area. This is just an example of diligent science: one solid step at a time. Personally, I find this result quite expected. Once the cave man was finished grinding his axe, he stood up and went hunting. He no longer needed to entertain the mind-set (the facts and the skills) of axe grinding, so it's natural to dump all that and get more room for the facts and the skills of hunting. This also explains why it is easy to notice on the phone if the other person has just got up, they sound clueless. They haven't yet loaded the basic everyday facts and things into their mind. I think the research is clever. @isaac - While the subject is 'narrow', I think they wanted to fully vet their point, because it is one of those outside nebulous points, even if it makes sense when you think about it. I'm sure they will follow up with a more comprehensive "what can you do about it" study, now that they've proven the first point. There are a lot of things based on "folklore" that are now getting validated with scientific basis. The psychological effect of walking through a doorway may well be a trigger event that actually shifts something in the brain's process, as this study seems to imply. Obviously, a lot more study needs to be done in order to validate the theory. If this is correct, then open plan schools would be a good idea. Hush is superhuman in his/her/it's own mind. So if we forget what it was our free will decided for us to do, then we don't deserve to have free will? Humans forget from time to time. A while ago, I registered a word for this phenomenon at Urban Dictionary: roomnesia. BTW: the only way to remember why you entered the room is to leave it. This is reason enough to get rid of cubicles. Just sign me - Dilbert. Hush, turn that critical eye on yourself buddy and re-read your first comment.